I decided it was time to stop talking about these and just make them. 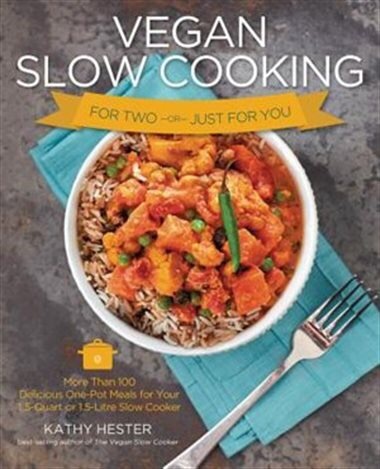 Kathy Hester (healthy slow cooking) wrote a review and shared a recipe from Ginny’s (vegan in the freezer) new book, The Make Ahead Vegan Cookbook: 125 Freezer-Friendly Recipes. I knew I needed pizza sauce, I wasn’t all that worried, because I had some in the cupboard right?! Well it turns out I didn’t, so off to the google gods to find a decent recipe (read, let’s hope I have everything on hand and wouldn’t take hours to make). The first site that popped up was minimalist baker- hey, I’ve been to her site before, she has some good recipes, let’s check it out. A can of tomato sauce, some spices- whisk and that’s it. The recipe is so easy, but tasty. See for yourself pizza sauce. The recipe is part of a pizza recipe, so I’m going to revisit and make that pizza pie. I mixed the yeast with the water, made my flax egg, made the pizza sauce- then I got down to work. Ok Big Red, a.k.a Kitchen Aid stand mixer did the rest of the work for me. You might want to keep a couple tablespoons of extra flour handy so you don’t have to wash your hands before getting extra flour if you find the dough too sticky. Also before you start cutting the dough, or as I did just rip off equal sized pieces, flour your work area so the dough doesn’t stick. Put it in the crock pot, and clean up. The next picture is after it cooked on low for an hour. I suggest, making a garlic dip for this- I’m making some tonight to have with them.You can add vegan parm, or even add a bit of vegan cheese and transfer them to the oven for a few mins to melt the cheese. I wish I was at home, because I’m want some in my mouth right now…. with yummy ranch dip. So, I’m going to get going so I can work on that. Check out the recipe and make these soon, you don’t need to thank me. I suggest making these for game night- BUT fair warning, you will want to make a few batches of these. They freeze well, and can be in the freezer for up to 3 months. 4-5 tablespoons of vegenaise, 1 teaspoon garlic powder, 1/2 teaspoon onion powder, scant 1 teaspoon of each parsley and dill. Mix together and chill for at least 1/2 hr, it’s ideal to chill it for as long as you can hold out the next day is really good. This is the mayo I use, but use any vegan mayo you want. What is your fav pizza dip? *the garlic dip is a recipe loosely based on Lindsay’s ranch dip from the The Happy Herbivore book. The link will take you to her site.